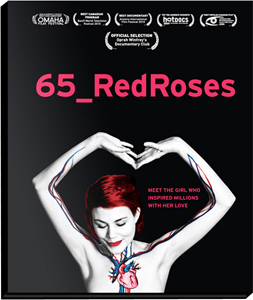 Redefining the traditional scope of documentary film in an electronic age, 65_RedRoses leaves viewers with a new appreciation of life and the digital world. 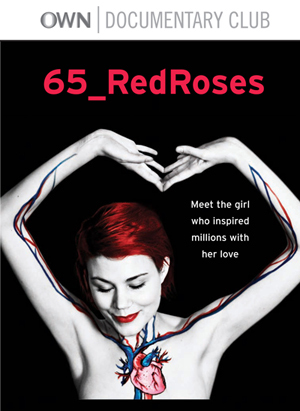 This personal and touching journey takes an unflinching look into the lives of Eva Markvoort and her two online friends who are all battling cystic fibrosis (CF) – a fatal genetic disease affecting the lungs and digestive system. Unable to meet in person because of the spread of infections and super bugs, the girls have become each other’s lifelines through the Internet, providing unconditional love, support and understanding long after visiting hours are over. Now at a critical turning point in their lives, the film travels the distance the friends cannot go themselves, capturing the compelling and often heartbreaking realities they face, just trying to take each breath. Digital Download available on demand worldwide! Buy and you can download or stream the film whenever you want. 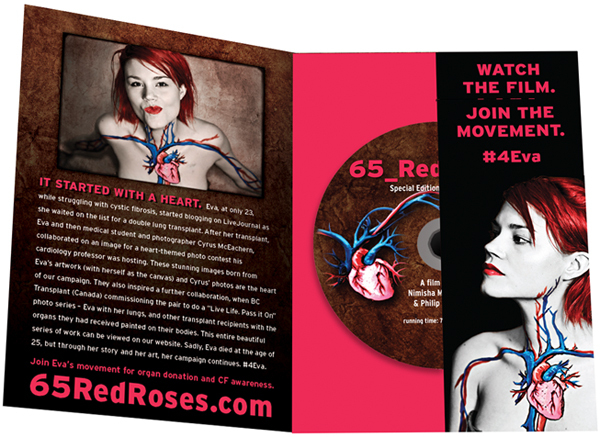 DVDs are available in Canada & the US through the Hello Cool World webstore. DVDs feature the updated ending and interviews with directors Nimisha Mukerji and Philip Lyall, plus photographer Cyrus MacEachern talks about the photos he created with Eva. Also, A Wish Where the Wind Once Blew, a short film with Juno Award-winning Dan Mangan, commentaries, French subtitles and more!